On Sunday, April 14th, 2013 we held our Second Museum Symposium highlighting the work of Johns Hopkins undergraduate and graduate students working with the museum collection. 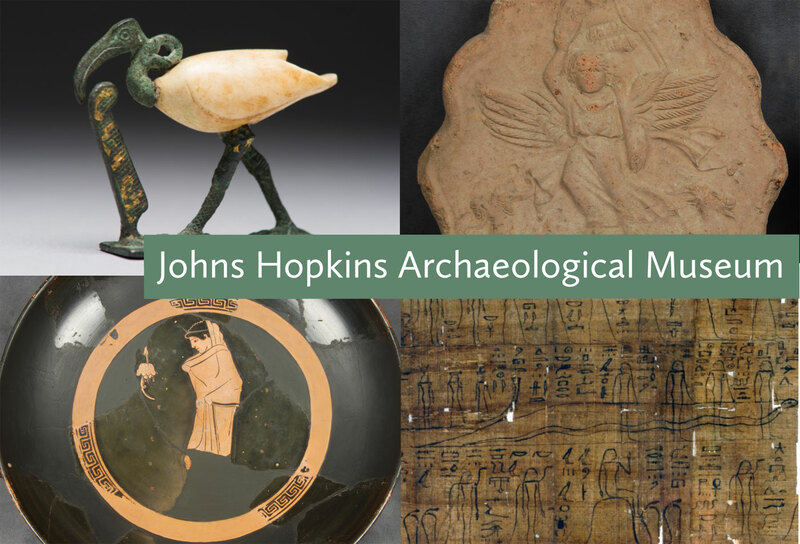 By considering different aspects of archaeological objects–art historical, cultural, religious, technical and scientific–the symposium emphasizes the importance of examining artifacts through various lenses. Of particular significance is the fact that this symposium showcased original research by students. The museum is dedicated to enabling and supporting student research, and the day-long symposium celebrated these efforts. The full schedule is posted here. The symposium was held in Marjorie Fisher Hall (Gilman 50) and began at 9am with a welcome by Dean Katherine Newman, James B. Knapp Dean of the Zanvyl Krieger School of Arts and an introduction by Dr. Betsy Bryan, Museum Director and Alexander Badawy Chair in Egyptian Art and Archaeology at Johns Hopkins. The schedule of events for the day can be found here. The event concluded at 5pm with a reception in the Gilman atrium. All members of the Johns Hopkins community as well as members of the public were cordially invited to attend. For those who could not attend in person, digital video of the talks will be posted on our website in May.